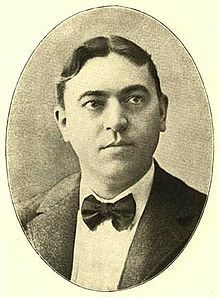 George Wilton Ballard (1887-1950) was one of Edison's most popular tenors. 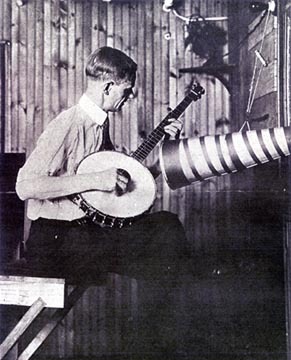 He began recording in 1910 on US Everlasting cylinders. 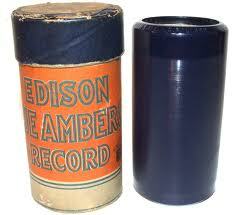 His first performance for Edison was released in 1914 on Blue Amberol cyliner #2150. Subsequent performances were released on about 70 cylinders and a similar number of Diamond Discs. He retired from studio work in 1923. His last Edison recording released in 1926 was recorded several years before its release. Ballard teamed up with singer Helen Clark to record some very memorable duets. To listen to recordings by George Wilton Ballard, or other early recording artists, visit the Cylinder Preservation and Digitization Project at the University of California at Santa Barbara. Lyric Male Quartet. 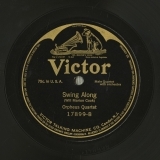 Victor's popular Shannon Four, which began recording in mid-1917 and consisted of Charles Hart, Harvey Hindermyer, Elliott Shaw, and Wilfred Glenn. The first Shannon Four disc was issued in September 1917: "I May Be Gone For A Long, Long Time," followed in October by "Wake Up, Virginia." Some discs were credited to "Charles Hart and the Shannon Four," such as two titles issued in May 1918: "A Little Bit of Sunshine" and "The Last Long Mile." 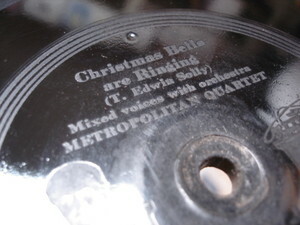 The quartet also recorded for Edison Records, sometimes being called Lyric Male Quartet. 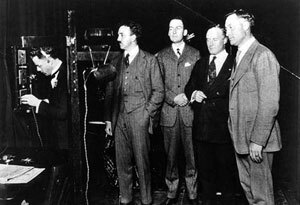 To listen to recordings by the Lyric Male Quartet (Shannon Four), or other early recording artists, visit the Cylinder Preservation and Digitization Project at the University of California at Santa Barbara. Sibyl Sanderson was a famous American operatic soprano during the Parisian Belle Epoque. She was born on December 7, 1864 in Sacramento, California. Her father, Silas Sanderson, was once Chief Justice of the Supreme Court of California. After his death in 1886, Sibyl and her mother moved to Paris and became transplanted socialites. 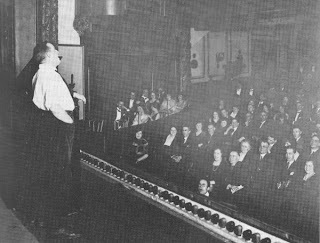 Sanderson proved to be a remarkably gifted singer and began to appear on stage. She was Jules Massenet's favorite soprano and appeared in the premieres of a number of his operas. Sanderson was also admired by Camille Saint-Saens, who wrote the title role in Phryne' for her. Success outside of Paris was elusive for Sanderson; she appeared at Covent Garden and the Metropolitan Opera (debut in title role of Manon on January 16, 1895, the last performance as Juliette in Romeo et Juliette on December 31, 1901) to lackluster reviews. In 1896 she married a Cuban millionaire and sugar heir, Antonio Terry, after which she temporarily halted her operatic activity, making an unsuccessful comeback two years later. Her last years were marred by depression, alcoholism and illness and she died from pneumonia on May 16, 1903 at the age of 38. To listen to recordings by Sibyl Sanderson, or other early recording artists, visit the Cylinder Preservation and Digitization Project at the University of California and Santa Barbara. Lewis James was a vocalist and among the most active of recording artists in the United States from 1917 through much of the 1930s. He was a member of the The Shannon Four, The Revelers and the Criterion Trio. He had many top ten hits during that time, including My Baby Boy, Till We Meet Again, What'll I Do and Pal of my Cradle Days, among others. He died in 1959. Lewis James was born in Dexter, Michigan on July 29, 1892. He recorded extensively as a soloist,duet partner, and quartet lead singer. 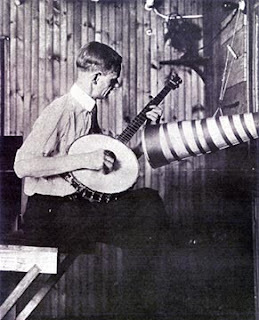 His first recording with the Shannon Four (aka the Shannon Quartet) was the World War I chestnut, "All Aboard For Home Sweet Home." Like many of his colleagues, he proved exceedingly versatile in recording love ballads, hymns, children's songs and the more sophisticated early jazz harmonies of the Revelers with whom he made several successful European tours. The Shannon Four, Revelers, Crescent Trio, and Merrymakers consisted mostly of the same singers, with occasional substitutes. 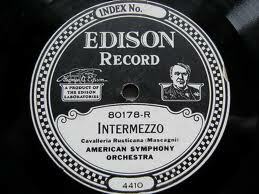 His sweet melodic tenor is immortalized on Victor, Columbia, and Edison recordings, mostly from 1917 through 1927. To listen to recordings by Lewis James, or other early recording artists, visit the Cylinder Preservation and Digitization Project at the University of California at Santa Barbara. 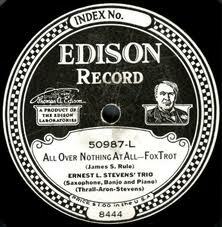 Ernest L. Stevens Trio. 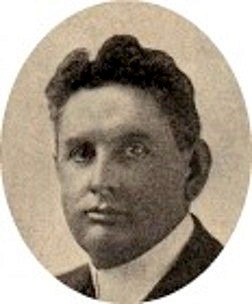 Ernest Stevens was Thomas Edison's personal pianist-arranger from 1922 to 1924 when Edison was experimenting with recording sounds and making recordings on wax cylinders. Stevens, born in Elizabeth, New Jersey on December 15, 1894, was involved with music until his death in Montclair, New Jersey on April 6, 1981. His basic musical training was in Plainfield, New Jersey, with Howard Case. A study of the pipe organ was with the well-known Mark Andrews (who made many pipe organ recordings) in Montclair, New Jersey. From 1917 to 1919 he made piano rolls for Aeolian, Piano Style, Gulbransen and Rose Valley companies. 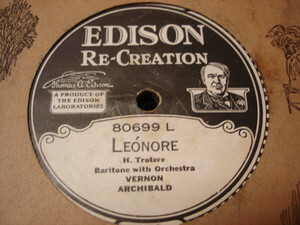 In 1919 he began making test records for the Edison Studios in West Orange. Mr. Edison hired Ernest to be his personal pianist in testing for the proper procedure to record on cylinders. His test records were used to evaluate placement of instruments relative to the recording horn. He was a prolific Edison recording artist, appearing on the Edison label as solo pianist, a member of his own trio and dance quartet and was the leader of his own dance orchestra. 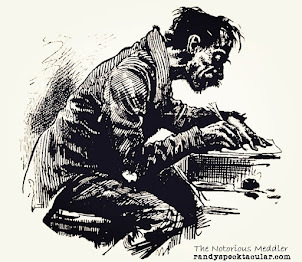 Records for Edison were under pseudonyms. To listen to recordings by Ernest L. Stevens Trio, or other early recording artists, visit the Cylinder Preservation and Digitization Project at the University of California at Santa Barbara. Edna White. A native of Stamford, Connecticut born in 1892, Edna White Chandler was an american trumpeter, with a long career onstage and as a soloist with bands and orchestras. She had a vaudeville act with her second husband, and in the 1930s also sang in musicals. White was a prodigy, noticed by Frank Damrosch, who invited her to study at the Institute of Musical Arts (later the Juilliard School), where she graduated at age 15; she then toured the vaudeville circuit with a female ensemble (two trumpets, two trombones). The opening ceremony in March 1915 of the first transcontinental telephone transmission (Brooklyn to San Francisco) was enlivened by her performance of "Silver Threads among the Gold." In the 1930s she was on the radio, and on Feb.9,1949 she gave a recital at Carnegie Hall. Edna retired in 1957, although she continued to mentor young trumpeters and was occasionally interviewed in the popular press and for trumpet-oriented publications. White began to record with the Edna White Trumpet Quartet in 1918, for Columbia, doing first "Just a Baby's Prayer at Twilight". 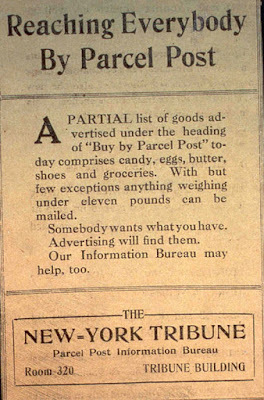 She continued with Columbia to 1921. 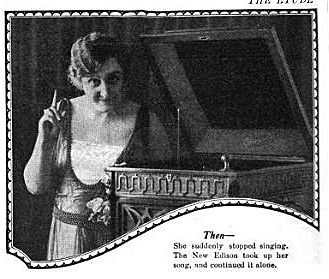 Her first Edison discs (Dec.15,1920) were "The Debutante" and "Recollections of 1861--1865". She made eight more Edisons, the final one in September 1926: "Sweet Genevieve". 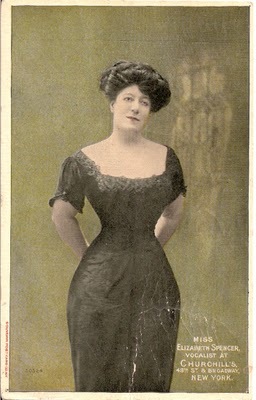 During this period, she was married to vocalist Torcum Bezazian, who appeared on some of her recordings and toured with her on the vaudeville circuit. In 1980 Merritt Sound Recordings of Buffalo, New York, issued the cassette Life with My Trumpet, featuring some of her early recordings and White reminiscing about her career, recorded at that time (a copy is held by the Library of Congress). Edna White Chandler died on June 25, 1992. To listen to recordings by Edna White, or other early recording artists, visit the Cylinder Preservation and Digitization Project at the University of California at Santa Barbara. 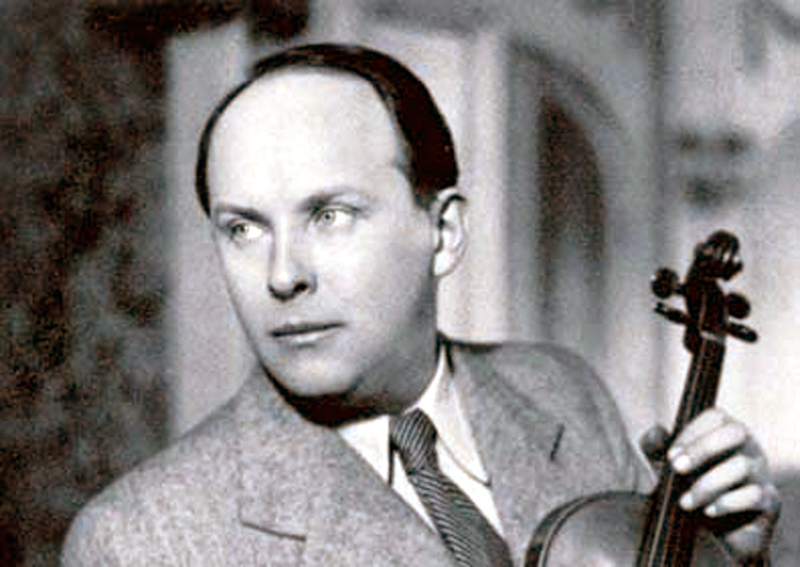 Váša Příhoda, born August 22, 1900, was a famous Czech violinist known for the perfection of his technique and the beauty of his tone. He was considered a Paganini specialist, and his recording of the Violin Concerto in A minor by Dvorak is still very highly praised. His artistry was controversial, and tended to polarise listeners. His first public performance was at age 13. At age 19 a tour of Italy proved unsuccessful; poverty-stricken, he joined the orchestra of the Café Grand’Italia in Milan to earn money. There he was heard by chance by Arturo Toscanini, who arranged a benefit concert for him. He then resumed his Italian tour, this time to great success. He was said to have been given Niccolo Paganini's own violin on which to play. He toured Brazil and the United States in 1920 and the USA again in 1921. He once shared the stage of the Royal Albert Hall with Pablo Casals. Příhoda concertized extensively all over the world and made a number of recordings when the industry was in its infancy. Unfortunately, some of his recordings were not well-produced so the sound quality is poor. But, he was greatly admired for his style, dazzling technique, and finesse. He appeared in two films in 1936: Between Two Worlds and Die Liebe des Maharadscha. During World War II, he taught at the Mozarteum in Salzburg. Because he continued to perform in Germany and German-occupied territories after the Nazi invasion of Czechoslovakia, he was briefly charged with collaboration after the war, and censured by the Czech government. He later taught at the Academy of Music and Dramatic Arts in Vienna. 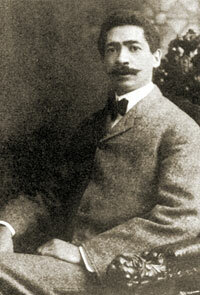 In later years, he dedicated most of his time to teaching and composing small chamber works. His last concert was in April 1960. He died on July 26, 1960. To listen to recordings made by Vasa Prihoda, or other early recording artists, visit the Cylinder Preservation and Digitization Project at the University of California at Santa Barbara. Walter Van Brunt, said to have been Thomas Edison’s favorite tenor, began his recording career at the age of 17. 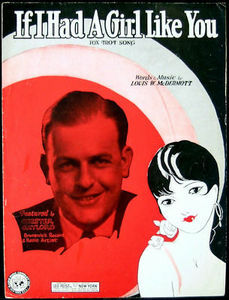 Recording and performing with such giants of his era as Billy Murray, Ada Jones, the American Quartet and John Bieling, Van Brunt had 40 hits on the pop charts including ‘When I Dream in the Gloaming of You’ (#3, 1909), ‘It’s Hard to Kiss Your Sweetheart (When the Last Kiss Means Good-Bye)’ (#2, 1910), ‘I’ve Got Your Number’ (#2, 1911), ‘Don’t Wake Me Up, I’m Dreaming’ (#3, 1911), ‘That Was Before I Met You’ (#3, 1911), ‘I Want a Girl Just Like the Girl that Married Dear Old Dad’ (#2, 1911), ‘Ghost of the Violin’ (#3, 1913), ‘Sympathy' with Helen Clark, #1, 1913), ‘And the Green Grass Grew All Around’ (#4, 1913) and ‘I’ll Take You Home Again, Kathleen’ (#3, 1916). Van Brunt also appeared in vaudeville sketches and Broadway productions including Eileen and was featured in radio programs with Billy Murray from 1929 through 1933. To listen to the recordings of Walter Van Brunt, or other early recording artists, visit the Cylinder Preservation and Digitization Project at the University of California at Santa Barbara. Thomas Chalmers was born on October 20, 1884 in NewYork City, the son of Thomas Hardie and Sophia Amanda (De Bann) Chalmers. In 1909, he went to Florence to study singing with Vincenzo Lombardi and made his operatic debut in May 1911 in Fossombrone as Marcello in La boheme. His first appearance in the United States was as Jack Rance in The Girl of the Golden West with Henry Wilson Savage's English Grand Opera Company. 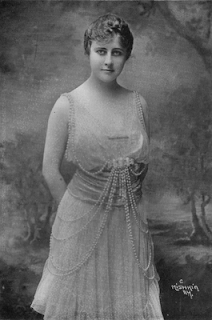 Chalmers toured the United States with the company from 1911 to 12. He then sang as the leading baritone with the Boston National Opera Company and the Century Opera Company before making his Metropolitan Opera debut on November 17, 1917 as Valentin in Faust. He went on to appear regularly at the Met until 1922 and sang in the world premiere of Shanewis, the US premiere of Marouf, and the first Met performances of La forza del destino and Crispino e la Comare. 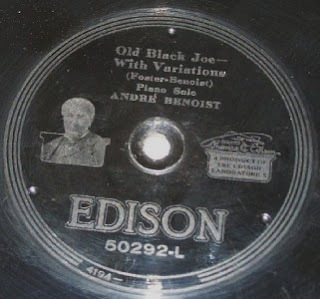 His recordings were all made for Edison and covered a wide range of repertoire from folk songs to opera; he recorded both on cylinder and the Edison Disc Record formats. Following a throat operation, Chalmers withdrew from opera and became a stage and film actor. His many stage roles included several Broadway premieres such as Landolfo in Pirandello's The Living Mask (Henry IV), 1924; Doctor Schindler in Schnitzler's The Call of Life (Der Ruf des Lebens), 1925; Captain Adam Brant in O'Neill's Mourning Becomes Electra, 1931; Ben Loman in Miller's Death of a Salesman, 1949; and Richard Bravo in Maxwell Anderson's The Bad Seed, 1954. One of Chalmers's earliest film roles was The Minister in the 1923 silent film Puritan Passions, based on Percy MacKaye's play The Scarecrow, which was in turn based on Feathertop, by Nathaniel Hawthorne. His last film role was The Judge in Martin Ritt's The Outrage, released in 1964. Chalmers also produced and directed several short comedy films. 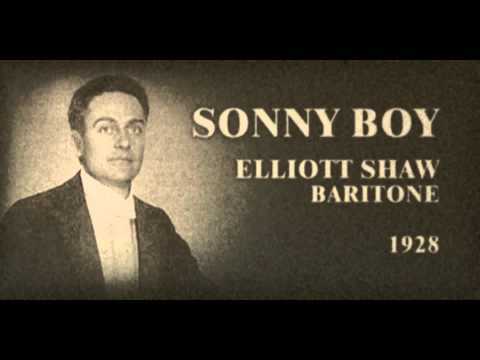 His voice can be heard as the narrator in two documentary films by Pare Lorentz, The Plow That Broke the Plains (1936) and The River (1938), both with scores by Virgil Thomson. In the 1950s and 60s, Chalmers appeared on television as an actor in several drama anthology series including Westinghouse Studio One, CBS Television Workshop, Kraft Television Theatre, The DuPont Show of the Month and Play of the Week. He also appeared in single episodes of The Further Adventures of Ellery Queen, The Defenders, Mister Peepers, and several other weekly series. Thomas Hardie Chalmers died on June 11, 1966 at the Laurelton Nursing Home in Greenwich, Connecticut. He was survived by his wife and his daughter, Vilma Hayes. To listen to recordings made by Thomas Chalmers, or other early recording artists, visit the Cylinder Preservation and Digitization Project at the University of California at Santa Barbara. Dame Maggie Teyte was born on April 17, 1888, in Wolfverhampton, England. In March 1906, she made her debut in a series of Mozart concerts conducted by Reynaldo Hahn and in 1907 became a member of the Paris Opéra-Comique. After a few small parts, she was cast as Mélisande. To prepare for Pelléas et Mélisande, Teyte was sent to study with Debussy himself. 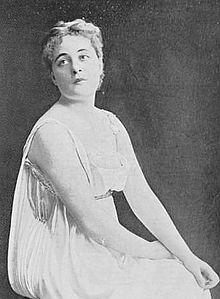 In 1910, she conquered London audiences with her portrayals of Cherubino in Marriage of Figaro, Blonde in Abduction from the Seraglio, and Mélisande. Despite her early successes, Teyte had a difficult time finding a place for herself in the main opera houses of the world. She developed a following in Chicago, Boston, and Philadelphia, and sang in America through the end of World War I, but did not appear in New York. She married in 1921 and went into a period of semi-retirement. Upon the disruption of her marriage in the early 1930s, Teyte faced difficulties of resuming her career after an absence of nearly a decade. An Australian tour was a financial fiasco. Twice she attempted an American comeback but it seemed that the public had forgotten her. Teyte’s career was revived in 1936 by a set of recordings she made for EMI of Debussy songs accompanied by Alfred Cortot. Though the outbreak of the Second World War interrupted the progress of her “second career,” her recordings established her reputation in England and the United States as the leading French art singer of her time. In 1948, she made her first New York appearances: a Town Hall recital, followed by a series of performances of Pelléas at the City Center Opera. 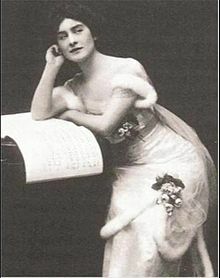 Teyte continued performing in opera until 1951 and on the concert stage until her retirement in 1955, at age 67. In 1958 she was made a Dame Commander of the Order of the British Empire. She died in London on May 26, 1976. To listen to recordings by Maggie Teyte and other early recording artists, visit the Cylinder Preservation and Digitization Project at the University of California at Santa Barbara. Chester Gaylord was a vocalist and among the most active of recording artists in the United States during the late 1920s through the early 1930s. Born on February 24, 1899, he was known as The Whispering Serenader on radio and on his records. He began his career as a singer and announcer for radio station WTAG in Worcester, Massachusetts in the early 1920s. Chester Gaylord's first recordings (in 1920) were saxophone solos for Thomas Edison, whom he had personally met. In 1923, he signed with Columbia records and made a number of vocal records for them. His popularity spread rapidly leading Brunswick Records (the second largest record company in the United States in the 1920s) to offer him an exclusive contract. He became one of the labels most prolific vocalists during the late 1920s. After the Warner Brothers bought out the Brunswick Record company in April 1930 a reorganization occurred and Chester Gaylord's contact was one of numerous artists whose contract was not renewed. Chester Gaylord continued to be popular on radio throughout the early 1930s until the introduction of swing music, in 1935, a type of music that was unsuitable to his style of singing. From 1929 to 1931, he was a featured vocalist on NBC radio on the Top Notchers Coca Cola Radio Program with Leonard Joy and his All String Orchestra. Gaylord moved to WBZ in Boston in the late 40s. He retired in the mid-1960s. During his retirement years he lived in Sterling, Massachusetts. He regularly played 1920s and 1930s songs on piano at The Old Timer, and Irish Pub in neighboring Clinton, Mass. According to Gaylord's obituary, he was still performing right up until a few weeks before his death on July 1, 1984. To listen to Chester Gaylord and other early recording artists, visit the Cylinder Preservation and Digitization Project at the University of California at Santa Barbara. 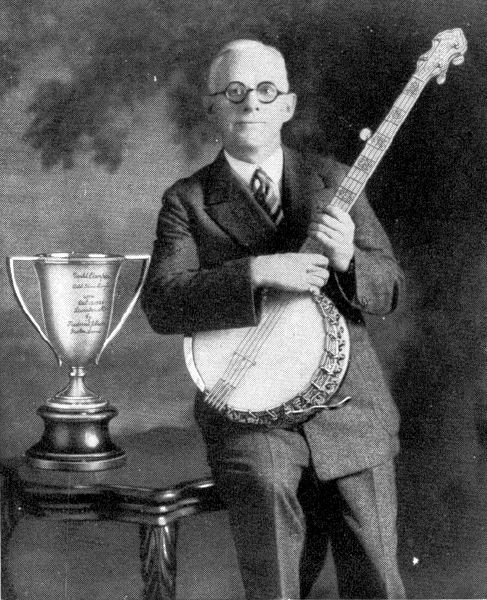 Steel guitar virtuoso Frank Ferera, called Palakiko Ferreira on early Edison recordings, was born on June 12, 1885 in Honolulu. Ferera was featured on the cover of the December 1916 issue of Edison Phonograph Monthly, and an article states, "Frank Ferera has the distinction of being the one who first introduced the Hawaiian style of playing the guitar into the United States. 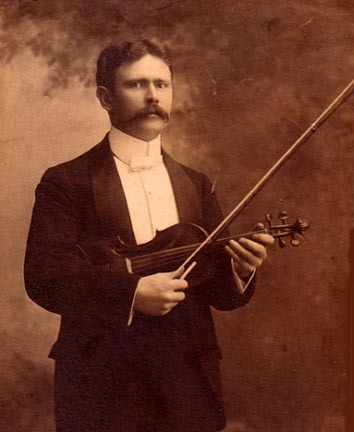 It was in 1900 that he brought the first ukelele [sic] here and commenced to charm vaudeville audiences. For quite a while he had the field to himself" His first wife was named Eva Perkins, but they divorced. He married Helen Greenus, who played ukulele as well as guitar. The two performed widely in vaudeville as Helen Louise and Frank Ferera. When Hawaiian records became incredibly popular in 1916 and 1917, Louise and Ferera recorded prolifically, benefitting from the sudden craze for Hawaiian records but also providing fuel for the craze with their many records featuring charming, always polished but never flashy performances. Ferera was a crossover artist from the beginning. In fact, the debut record of Louise and Ferera featured a Stephen Foster song. The duo often recorded songs that had originated in Hawaii but other times recorded songs of other genre. Louise and Ferera made their recording debut in New York City for Columbia in late July 1915. 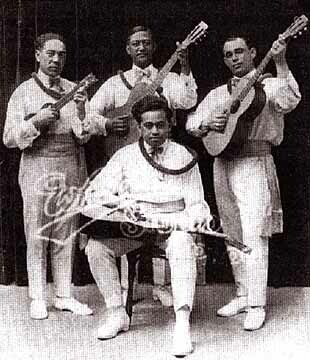 The four songs recorded were "My Old Kentucky Home," "Medley of Hawaiian Waltzes," "Honolulu Rag," and "Kaiwa Waltz." 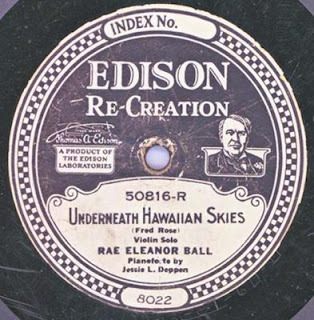 For Edison, Frank Ferera made his recording debut as a solo artist in September 1915 with "Ua Like No Alike and "Medley of Hawaiian Hulas." 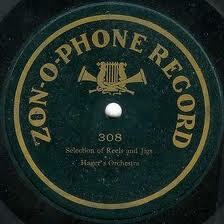 In 1917 Louise and Ferera made recordings for virtually every company, including Victor, Columbia, Edison and others. Their Edison recording debut was "Medley of Hawaiian Airs--No. 1," issued on Blue Amberol 2917 in July 1916. Ferera managed the Waikiki Hawaiian Orchestra, which often recorded for Edison, but neither Edison literature nor labels credit Ferera for leading the orchestra. Louise and Ferera did not record as often in 1918 as they had in 1917, perhaps partly due to touring engagements, perhaps also due to the demand for war songs far exceeding that for any other type of music. Frank Ferera recorded for most companies in the 1920's. 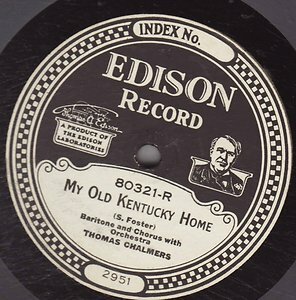 One Edison recording made in May 1924 and issued on Diamond Disc 51361 in August (then issued as Blue Amberol 4898 in September) helped popularize "hillbilly" music: Frank Ferera accompanied Vernon Dalhart as he sang and played harmonica on "The Wreck On The Southern Old 97." Ferera died on June 26, 1951. 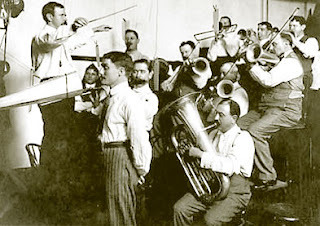 To listen to the Waikiki Hawaiian Orchestra, or recordings by Frank Ferera, visit the Cylinder Preservation and Digitization Project at the University of California at Santa Barbara.